The First Level Attunement consists in opening the light channel through which penetrates the universal life force. It requires no prior knowledge or donation, but encourages you to an inner journey and then allows you to transmit Reiki by laying on of your hands, either on yourself or on others. During the four rites of attunement of the first level, I proceed to open your energy channel - the seventh chakra which connects man with the cosmos and allows access to this cosmic energy - to let the powerful universal life energy flow in by the use of symbols and sacred messages. The force in this activation will open your sleepy faculties to receive and transmit life energy. Your channel is then opened and sealed for life. 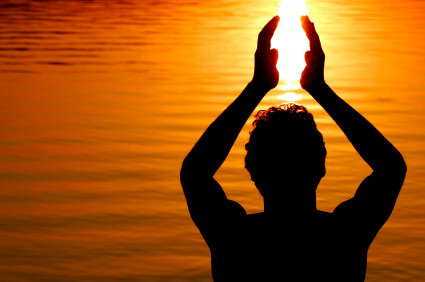 It is possible to apply the Reiki practically in all circumstances for adults and children, animal and plants. It may be effective in cases where other forms of therapy do not respond or combine it with other treatments. It helps to maintain health, inner balance and relieves pain. The path of Reiki is spiritual and opens the heart. Knowledge of chakras, energy bodies (auras), and measurement techniques. The first level allows to channel and transmit the power of love by laying of the hands. These basics will allow you to eventually develop your own practice, Reiki sensitivity, to be more intuitive, and to let your hands guide you to where the energy is needed. This first stage is followed by a mandatory daily self-treatment period of a minimum of 21 consecutive days. This self-treatment is essential. In addition, I advise you to give and receive Reiki as often as possible. Post-attunement integration, extending over a period of generally 21 days, is experienced in a very personal and different way for each individual. Time integration suggested before second level attunement is between 3-6 months. It is possible to integrate the next level after only 21 days, which will provide a more concrete development; powerful and faster than waiting for several months. However it is also possible that some people feel the need to wait more time between each level, this is good too. But above all, true integration of Reiki is not done in months or days, but throughout our life through the path of the heart and our regular practice of love that we can bring to us and to others. Full documentation is provided during the course. A certificate is issued at the end.